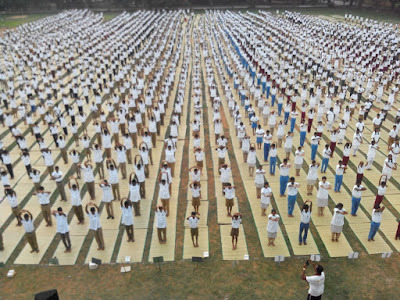 National Cadet Corps (NCC), the premier youth organisation of the nation created a record for the largest yoga performance simultaneously by a single uniformed youth organization at multiple venues today. 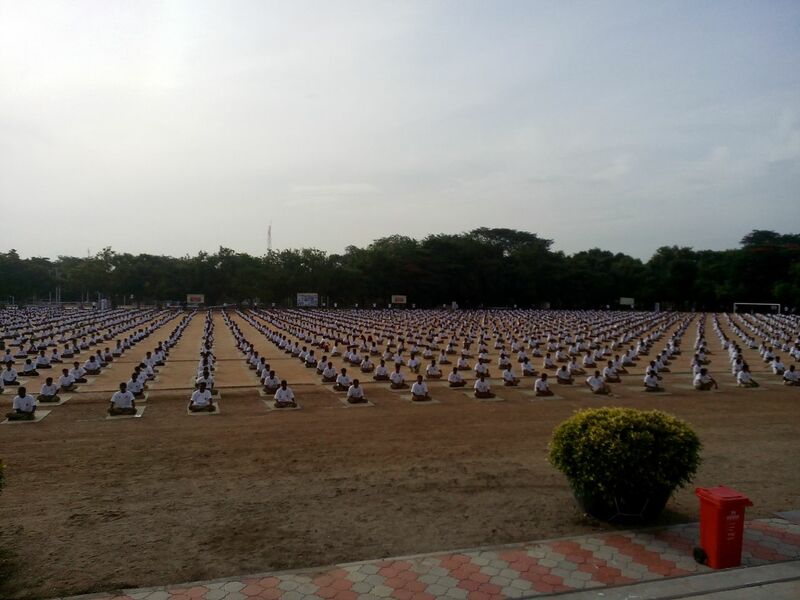 The cadets performed the asanas as per the protocol given by Ministry of Ayush from 0700 am to 0735 am at all venues including at Rajpath in Delhi. 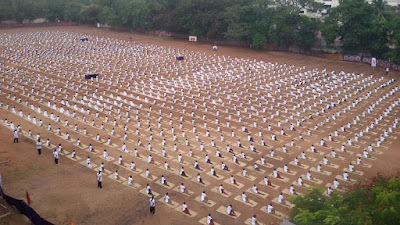 The performance of yoga by NCC cadets on International Day of Yoga was pan India, including Leh in the North, Dwarka in the West, Tezu (Arunachal Pradesh) in the East, Nagarcoil (Kanyakumari) in the South and in the islands of Andaman & Nicobar and Lakshadweep. Under the aegis of Tamilnadu,Puducherry & Andaman and Nicobar Directorate 91576 cadets participated at 76 Venues Madras ‘A’ Madras ‘B’ Group cadets participated in 8 Venues in Chennai, 5 venues in Kanchipuram and One venue each in Tiruvannamali, Arni, Vellore and Port Blair. 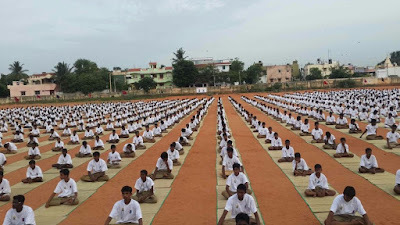 Madurai Group cadets participated in Madurai, Tenkasi, Palayamkottai, Tuticorin, Nagercoil, Rajapalayam, Kovilpatti, Sivakasi, Virudhunagar, Theni. 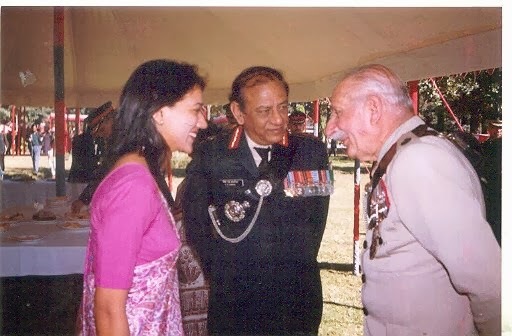 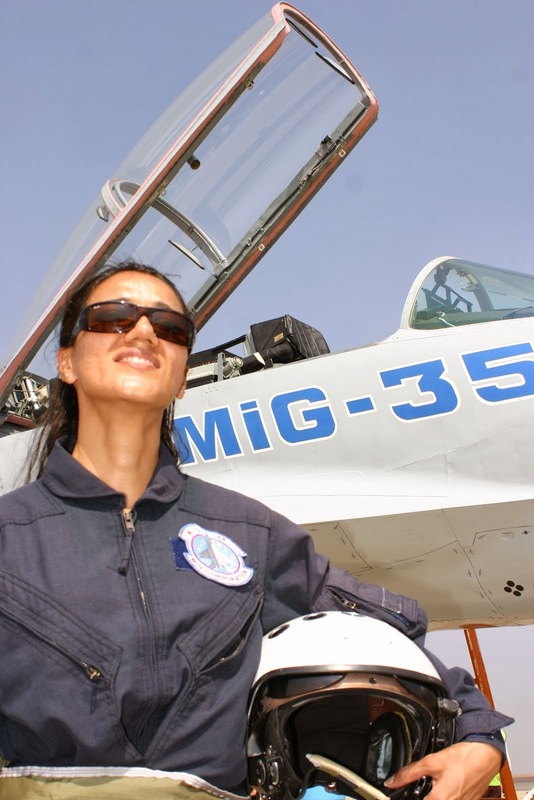 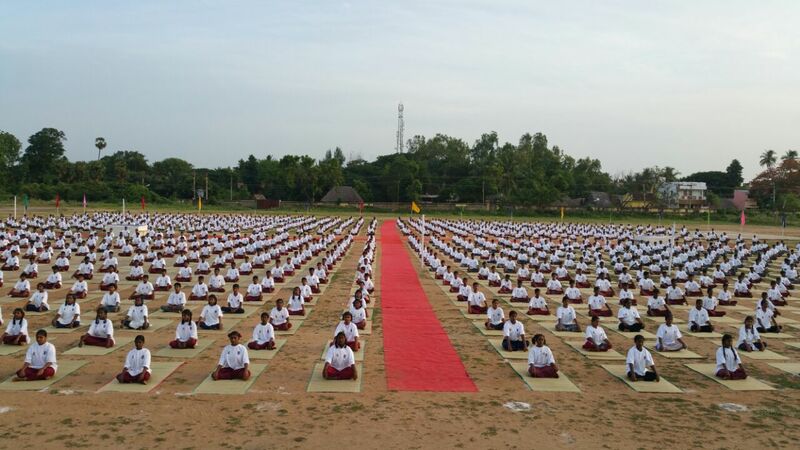 Trichy Group cadets participated in Trichy, Kumbakonam, Karaikudi, Devakottai, Ramnad, Dindigul and Thanjavur. 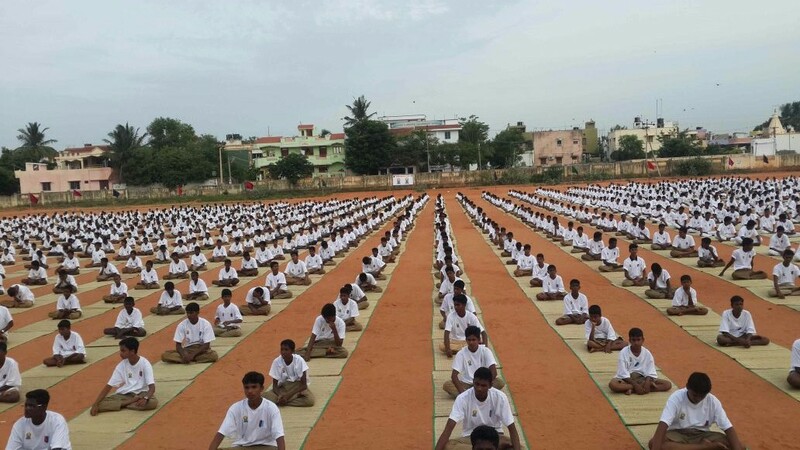 Coimbatore Group cadets participated in Coimbatore, Salem, Perundurai, Ooty, Amaravathi Nagar and Tiruchengode. 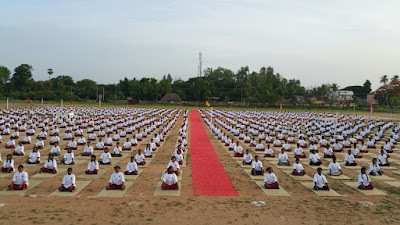 Puducherry Group cadets participated in Puducherry, Yanam, Mahe, Cuddalore, Nagapatinam, Neyveli, Tiruvarur, Irayur, Chidambaram, Villupuram, Vadalur, Kalakudchi, Sirkali and Karaikal. 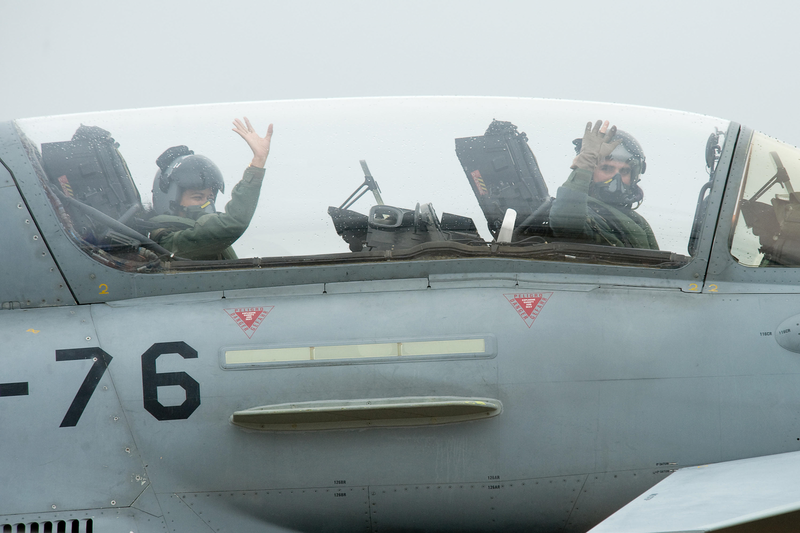 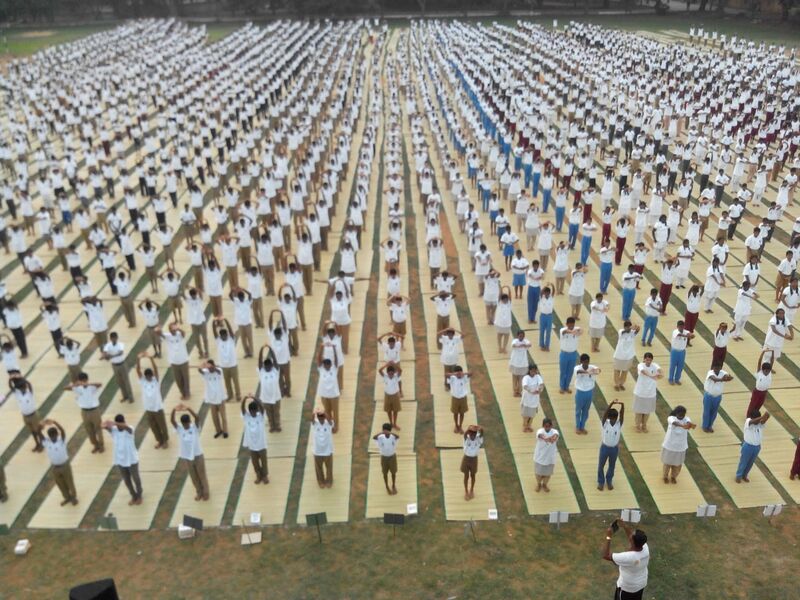 The overall participation was 97 percent, which is one of the best in the country. 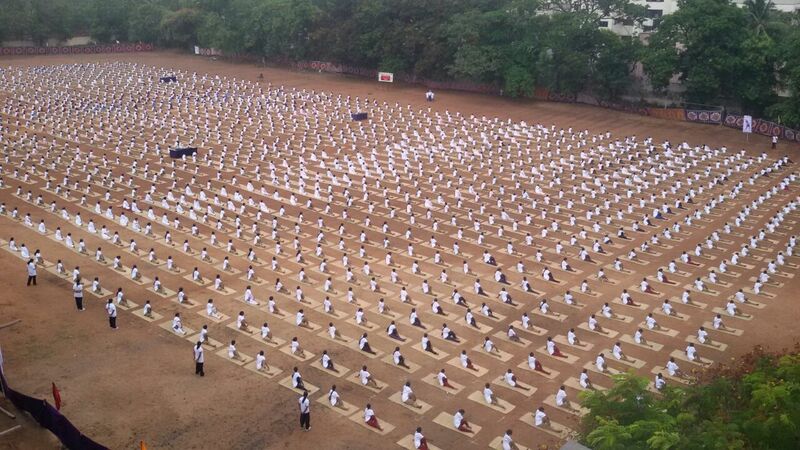 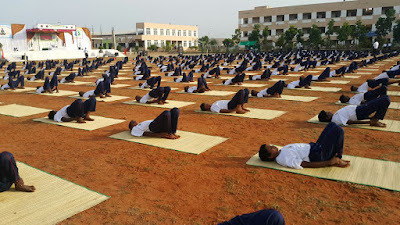 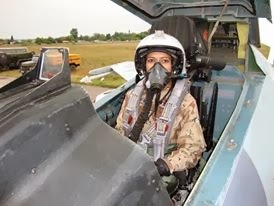 In Chennai, 17,115 cadets performed Yoga in eight venues at Madras Medical College Ground, Loyola College, Pachaiyappa’s College, Don Bosco HSS, A M Jain College, Anna University, Vel Tech Engineering College and Lalaji Omega School. The Deputy Director General Commodore Vijesh Kumar Garg thanked the Govts of Tamil Nadu, Puducherry and Andaman, All Educational Institutions and parents for their whole hearted support for the conduct of the event. 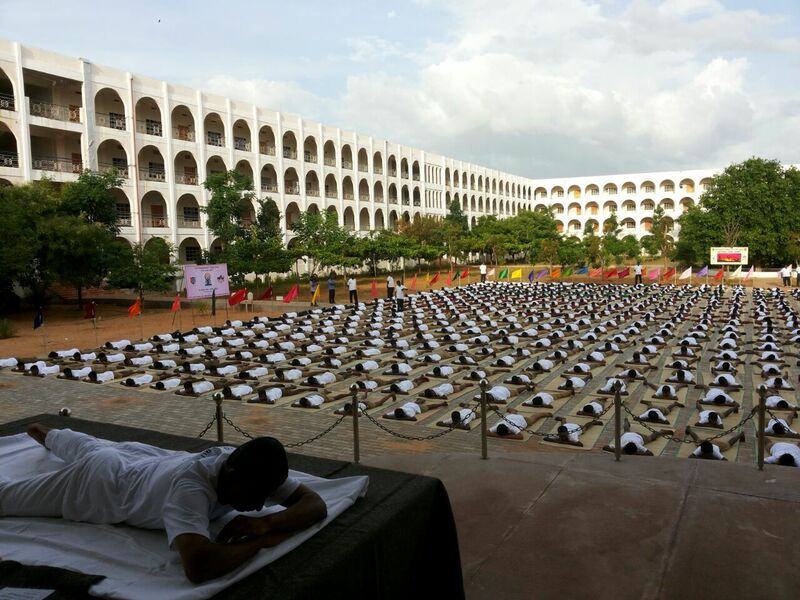 He also expressed his gratitude to the media for spreading the ‘Awareness of Yoga’ and “a healthy mind in a healthy body” amongst the youth.